A father/son team has carved out a niche in the recycling industry by working with products no one else in the Rio Grande Valley touches: electronics. RDA Technologies in Brownsville recycles anything with electronic components inside, ranging from old computers to ice makers to televisions and more. “I started in my living room in 2012 destroying old computers. Then my wife kicked me out to the garage,” said Jose David Avila, who owns and operates RDA Technologies with his son, David. Avila expanded from the garage to his back yard before branching out on his own and moving into a warehouse. Avila started out as an employee of Metallurgical Resources in Canada, which sent him old computers to destroy and salvage reusable parts and recyclable metals. In July 2014, the company urged Avila to go out on his own. 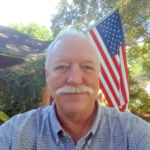 He rented a 5,000-square-foot warehouse space and formed RDA Technologies. Metallurgical Resources is now one of his customers. 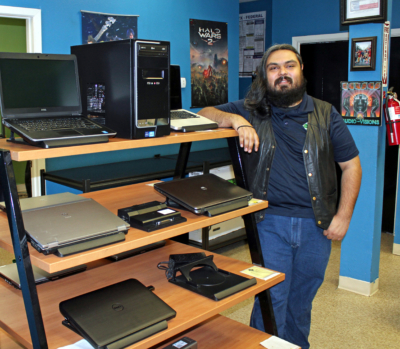 In the early days of owning his own business, with the help of $2,000 his son contributed from a scholarship he had received, Avila bought some old computers and started tearing them up. His son David joined the business after earning a degree in mechanical engineering with minors in nuclear science and math. RDA Technologies receives old electronics equipment from government agencies and private companies as well as individuals. The equipment is taken apart, hard drives are cleared of data and components sorted out. Some items are sold online while others are used to refurbish computers for sale. Recyclable metals, particularly non-ferrous materials like gold, silver and aluminum, are sorted and sold as scrap metal. “From an environmental perspective we are trying to keep them out of the landfills,” Avila said. Sometimes Avila receives a shipment with a surprise. In a truckload of old mainframe computer equipment from the city of McAllen, he found some vintage items that he could sell as collector pieces, such as old IBM keyboards. “We posted one of these keyboards on eBay for $750 and sold it in five minutes,” he said. Another one sold for $1,000 in less than a day. A year after opening, Avila leased another warehouse to add another 5,000 square feet of space to handle the growing business. A 1,750-square-foot warehouse was added in February of this year. He plans to consolidate the operations into a single 15,000-square-foot location early next year. With only one employee in 2014, RDA Technologies now has 19 workers. 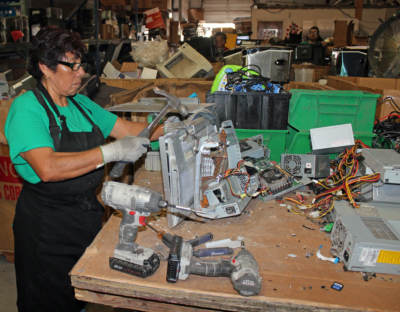 They can be seen in the warehouse tearing up old equipment using hammers and other hand tools, sorting parts and testing components that can be reused. He sells to scrap metal recyclers and uses online services like eBay to offer components for sale. 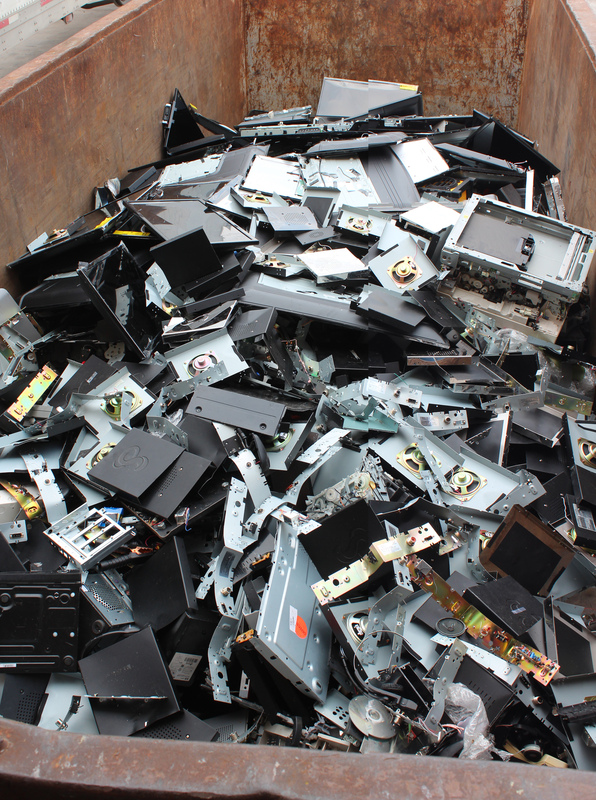 Some components salvaged in the warehouse operation go to feed another aspect of the business. 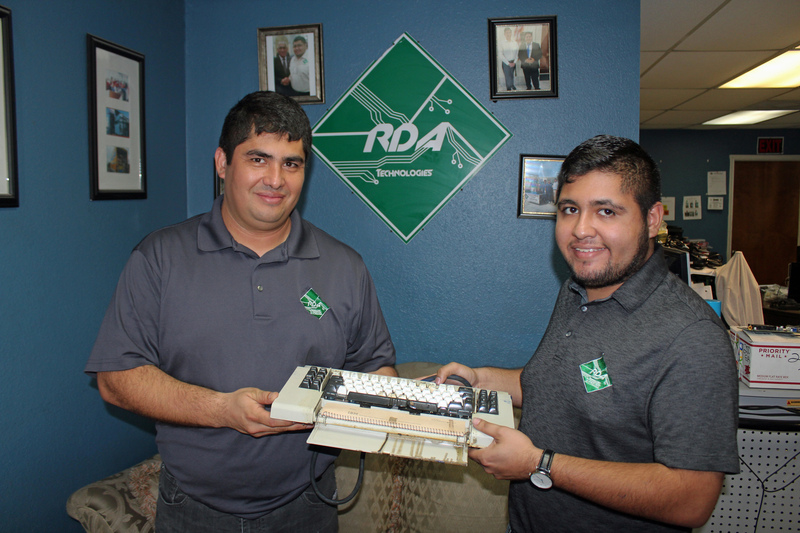 RDA Technologies has a retail outlet in Brownsville where refurbished computers and other electronics are sold. Computer service and repair is another specialty on the retail side. A Microsoft Registered Refurbisher, the company adheres to strict standards, Avila said. RDA Technologies can make computers, using old parts, to clients’ specifications. “We are working on an order for a Houston firm for 1,000 computers that will go to Nigeria,” he said. A Monterrey, Mexico, computer stores wants 100 computers from RDA. “On the retail side the idea is to keep the quality up and the pricing low,” Avila said, adding that another retail location is part of his business plan for growth.